You are out and about with your laptop and want to access the internet, maybe to write a blog entry or you have some other work to do. Slight problem, there are no WiFi hotspots anywhere near you! You could do the stuff on your iPhone but it lacks a decent text editor and it is not the best solution for prolonged web surfing. So what can you do, is there a way to tether your iPhone? 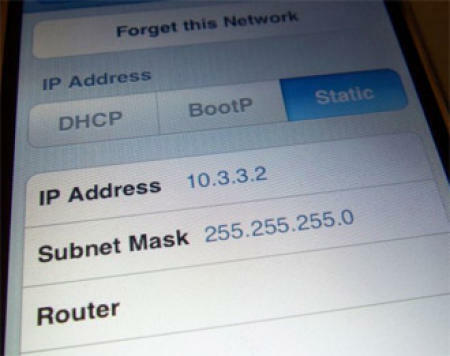 Tethering refers to a method that enables your laptop to use your mobile phone’s wireless data connection, i.e. your mobile phone becomes a wireless modem for your laptop. Nullriver are some of the smart people who came up with NetShare app that is basically just a SOCKS proxy that will enable you to link an ad-hock WiFi network to the iPhone’s 3G so you can browse the Web on your laptop using your iPhone’s data connection. NetShare even made it onto Apple’s App Store before the censors realised what it did and yanked the software. Nullriver is not the only option though, iPhone 3G Blog has a step by step guide that involves you first needing to jailbreak your iPhone and then installing a couple of pieces of software on your iPhone. It seems quite straight forward to do and the author of the post claims it only took about 3 minutes to set up. Kyle over at Dragon Forged has yet another option for you to try; he has even put together a nice 11-step guide to help you along the way. Using any of these methods it would seem you need to Jailbreak your iPhone and so you do run a risk of bricking your lovely shiny Apple iPhone but there are always risks in life so you may believe the benefits are worth it. These methods get the job done but don’t expect them to be blazingly quick.